No known grave - "Known Unto God"
Charles Ernest Bagot of College Park, Adelaide was born in the outback town of Oodnadatta, South Australia in 1893 and lived there until he entered the Collegiate School of St Peter at 14 years of age. While at the School, he achieved an excellent academic and sporting record and served in the cadet unit. He played inter-collegiate football in 1912 and 1913, intercollegiate sports in 1913 and was a School Captain that year. His teachers often said all his efforts were ‘refreshingly keen and thorough’ and this would have carried over to his time spent at Adelaide University where he was studying Engineering. 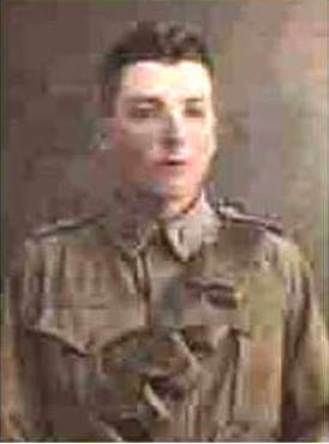 In 1914, he suspended his studies to enlist and when he did so at Morphettville on 19 August 1914 was posted to B Squadron 3rd Light Horse Regiment. 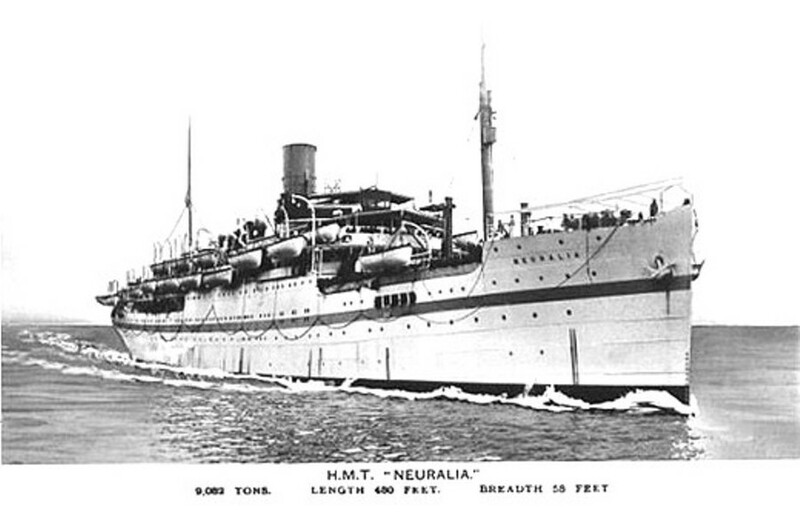 He sailed from Adelaide with his unit aboard HMAT Port Lincoln on 22 October and following further training in Egypt landed at Anzac with the regiment in May 1915. In early July, he was admitted to 2nd Stationary Hospital Mudros with influenza but recovered quickly and rejoined the regiment ten days later. In August, he fell ill with diarrhoea and was evacuated to Alexandria aboard the Hospital Ship Gloucester Castle but rejoined B Squadron at Destroyer Hill on 25 October. By then the Turks had received newly manufactured shells with a more reliable explosive content and made good use of it by shelling the 1st Light Horse Brigade HQ and its regiments at Destroyer Hill. 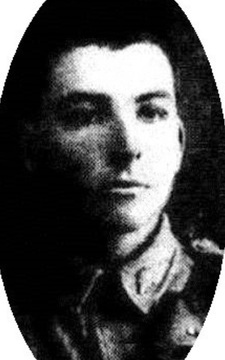 At approximately 6.45 a.m., on the morning of 9 November, Trooper Bagot was shot in the abdomen and although quickly evacuated to the Hospital Ship Neuralia died that night; he was 21 years of age. Charles was a cousin to Major James Churchill-Smith MC and bar, 50th Battalion AIF and a second cousin to Lieutenant Maurice John Hervey Bagot R N who was killed in November 1914 while serving aboard HMS Monmouth in the North Sea Battle. Among the six Old Blues named Bagot who served abroad in the Great War, was Lieutenant Arthur Gerald Bagot, who greatly distinguished himself while serving in the Royal Naval Volunteer Reserve. Lieut. 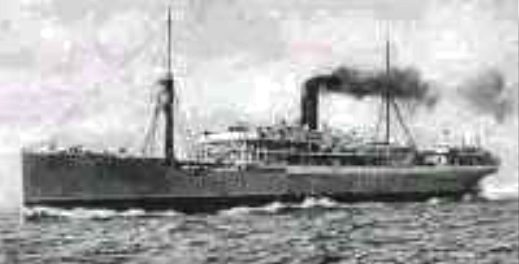 Bagot joined the Canadian Motor Boat Patrol. He has been awarded the DSC, and the Albert Medal for bravery. 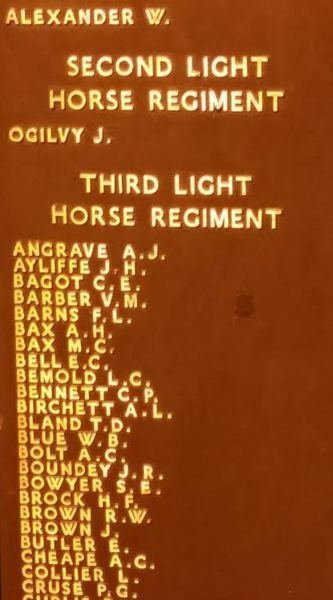 Capt Bagot joined up with the 13th Light Horse in Adelaide. He went through the Gallipoli campaign and later saw service in France, being mentioned in despatches by Sir Douglas Haig. 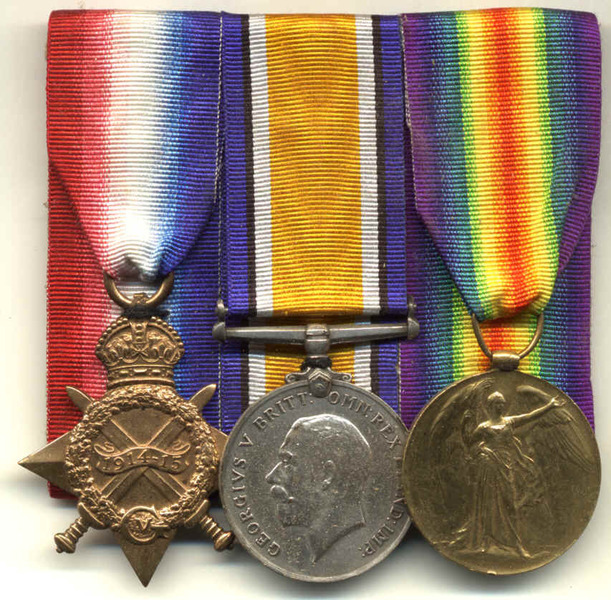 Having already received the Distinguished Service Cross for raids on enemy ports, in April 1918, Arthur was awarded the Albert Medal for gallantry at sea. When a proposal by the British government to allow surviving Albert and Edward Medal recipients to exchange their awards for the George Cross was approved by the Queen in 1971 Arthur opted to do so; this made him the first of only two Old Blues to receive the George Cross. 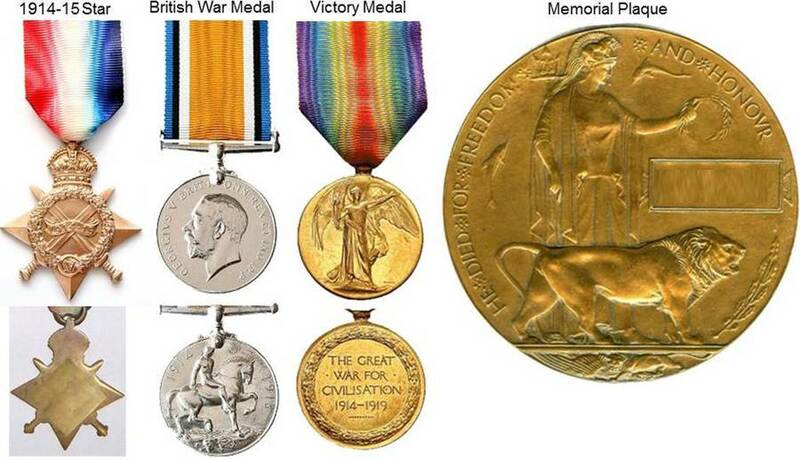 BIOGRAPHICAL PARTICULARS THE LATE PRIVATE C. E. BAGOT. 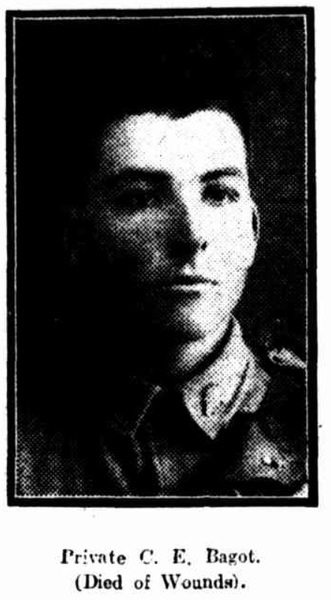 Private Charles Ernest Bagot, who died of wounds on November 9, was the eldest son of the late Mr. Charles Mulcra Bagot and Mrs. Bagot, of Marlborough-street, College Park. He was born in 1893 and lived at Oodnadatta until he was 14 years of age, when he entered St. Peter's College. He passed the junior, senior, and higher public examinations, was captain of the boats in 1912-1913, rowed in the first crew that year and at Henley-on Yarra in 1912, represented St Peter's in the intercollegiate sports in 1913 and in the intercollegiate football match in 1912-1913, as a prefect in 1913, and entered the engineering school at the University of Adelaide in 1914. So soon as war was declared he enlisted He was in the trenches from the beginning of May until August with the exception of a fortnight on sick leave at Lemnos. He was invalided to Egypt in August, but returned to Gallipoli on October 19 (for the third time, and at his own request). m. 12/4/1893 at Alber E Williams' residence at Oodnadatta, SA. prefect in 1913. He entered the Engineering School at the University of Adelaide in 1914. Prior to enlisting Charles lived with his mother at 30 Marlborough Street, College Park, SA. dark complexin; grey eyes; grey/black hair; Anglican/Church of England. fortnight on sick leave at Lemnos. 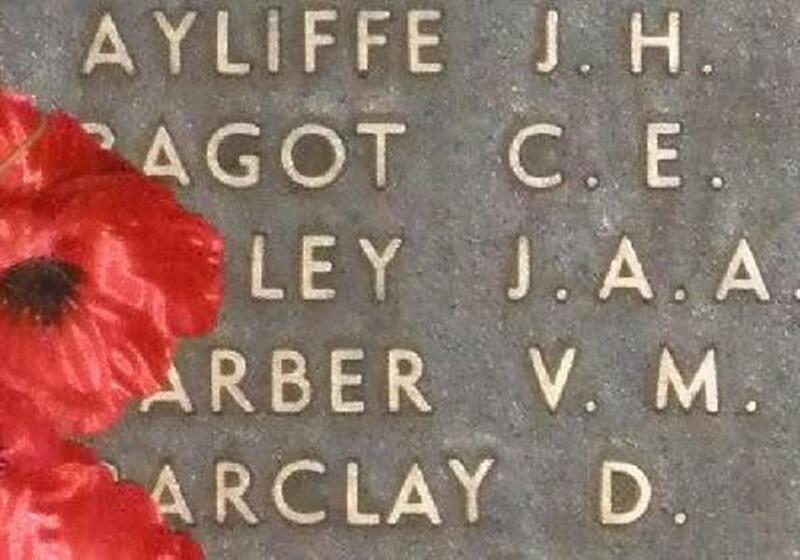 His name is commemorated on Panel 7 at the Lone Pine Memorial, Gallipoli. Sourced and submitted by Julianne T Ryan. 12/2/2015. Lest we forget. Showing 4 of 13 images.